LONGINES GLOBAL CHAMPIONS TOUR will return to the vibrant and lively city of Madrid from 2-4th May 2014. Spain’s capital city will host the second event of the highly anticipated season. As a prestigious addition to the Championship calendar in 2013, Madrid is a globally significant capital which buzzes with sophistication and energy. As last year's season opener, Madrid saw Olympic Silver medalist Britain's Michael Whitaker win the Grand Prix in fine style. Madrid’s exclusive country club, the Club de Campo Villa de Madrid, will once again host the Longines Global Champions Tour series at its equestrian centre, where the best riders and horses in the world will compete in the CSI5* Longines Global Champions Tour Grand Prix of Madrid. The elegant Club de Campo Villa de Madrid is a well-known venue in the city and an important hub for those passionate about equestrianism. 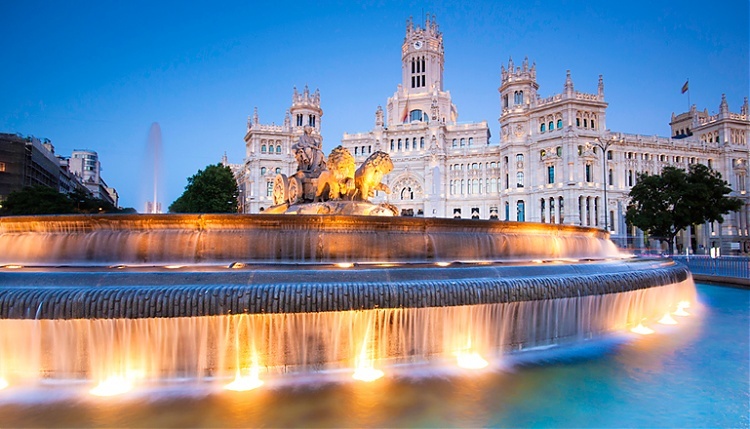 Known as a city over-flowing with life and energy, Madrid offers a great variety of entertainment, culture, restaurants and shopping for participants, sponsors and the public. Madrid’s historic monuments, from the Royal Palace to the Alcala Gate, are close by and you can take a trip back in time with a walk around the streets of the old quarter, stopping off at some of its world-famous cafes and terraces between the world-class competitions on offer at the show.